Software balancing between the client and server computer networks has always been a paramount for any developer or IT to deliver a seamless interface and a secure environment for businesses’ and their end users. Load-Balancing is a computer networking method that distributes workloads across hardware resources, like CPUs, disk drives, or whole computers, optimizing resource use to up response time and mitigate risk of overload. 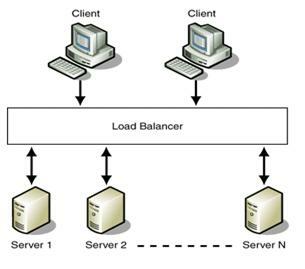 The load balancer itself is forwarding requests to the back-end servers while preventing the clients from querying the back-end directly, offering security from malicious users that use DDoS attacks, SQL Injection, or any sort of attack that leads to bottlenecking of the servers’ resources. To meet industry standards, Secure Sockets Layer (SSL) traffic encryption will properly encrypt and decrypt your data packets through the offloading, re-encryption, and pass-through stages of data transfer between the client and server machines. Today’s clients are too powerful to have the server do all their work for them, and to achieve the best performance servers are starting to offload more and more of their work to the client. Catering to their needs while providing security is something Ayoka Systems takes care to do. Expectations for our Clients are not to find a custom software development firm that simply follows orders or requires detailed specifications to proceed, but instead our Clients are seeking a collaborative approach to software development services, to get cost-effective, fully customizable software applications with the personal support found only in an American software development company.